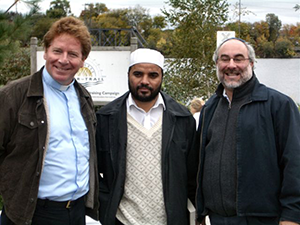 We are a gathering of people in the Peterborough area, Jews, Christians and Muslims. The Torah, the Bible and the Qur’an are our holy books. We feel we are all descendants of Abraham. 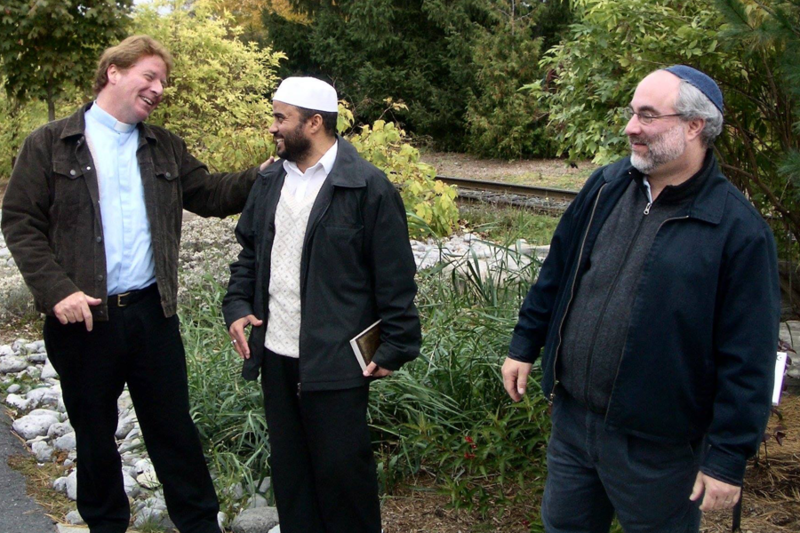 We have been meeting in Peterborough since 2003 in a spirit of joy and wonder as we discover both our similarities and our differences. We are discovering we are spiritual cousins. We also want to reach out to people who care deeply about social justice and equality in the world, but who may not be members of a faith tradition. 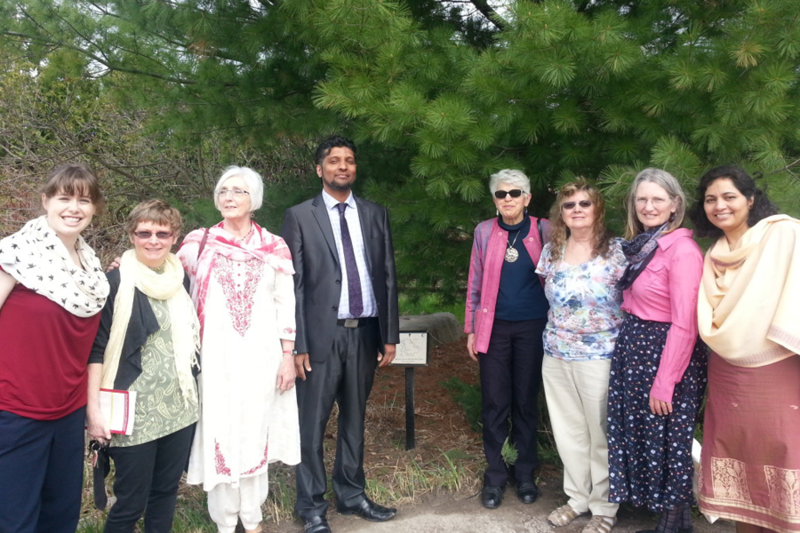 Through our annual festivals we have highlighted issues of Conflict and Peace, Caring for the Environment, Women in our Faiths, The Millennium Goals, Diversity. 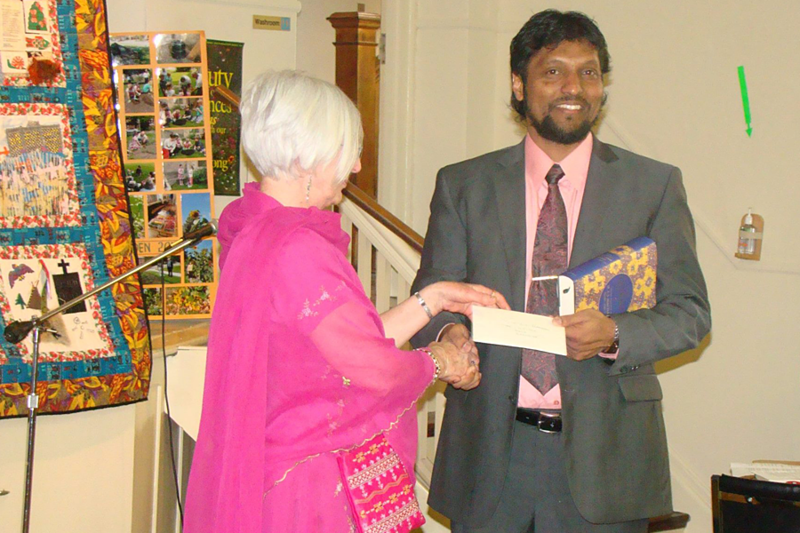 With the support of the wider community in Peterborough, we sponsored a Syrian refugee family in 2015. We have shared our message with the community through outreach events such as film nights and dances. The traditions of our three faiths teach us to have compassion, to seek justice, and to pursue peace for all. The traditions of our three religions teach us to have compassion, to seek justice, and to pursue peace for all. In the name of the one God whom we all serve and celebrate, we condemn all forms of violence. All our traditions demand peace. We commit ourselves to continued dialogue to pursue the compassion and justice called for by Abraham, by Jesus and by Mohammed. 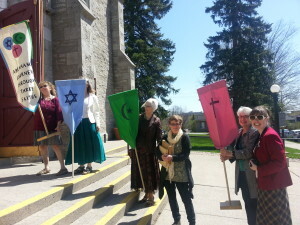 We will act locally to create a network of Jews, Christians and Muslims who will promise to try to achieve peace and justice in our community and in the world. July 10, 2016 , writing in the visitor book at Auschwitz-Birkenau, Poland. And let me not be in disgrace on the day when men will be raised up.